For many active-duty service members, the promise of 0% APR and waived fees may sound like just another Veterans Day sale — a good deal, available for a short time. But a handful of credit card companies are changing this, quietly offering benefits like these year-round to deployed service members. For those who are paying down debt, waived interest could add up to hundreds of dollars in savings. While all banks offer financial relief to active duty service members, some offer much more than what the law calls for. The federal Servicemembers’ Civil Relief Act, or SCRA, requires — among other things — that lenders cap interest rates on pre-service debt at 6% APR and waive service and renewal fees, such as annual fees, foreign transaction fees and late fees. But several major issuers offer even lower interest rates for both existing credit card balances and new purchases, sometimes extending low rates for up to a year after a service member’s active duty has ended. If you want to qualify for these benefits during your active duty service, here’s what you need to know. Barclaycard and Citi offer 0% APR on accounts opened prior to active duty for eligible service members. 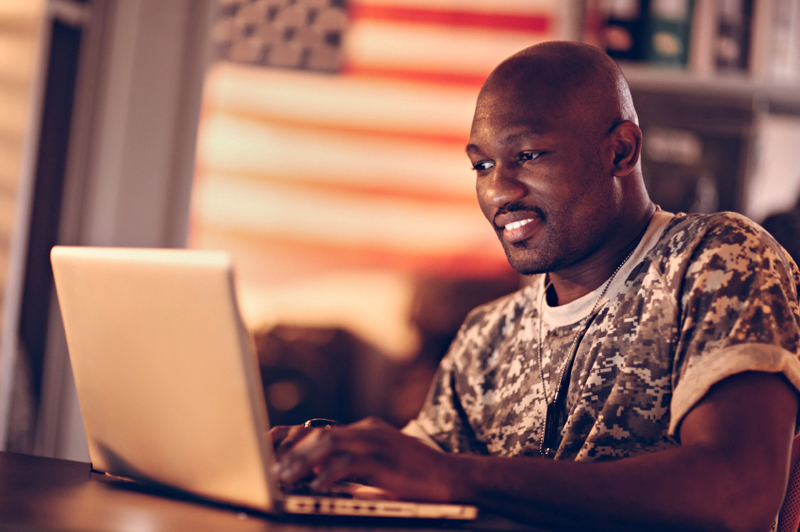 Capital One, Chase and USAA offer 4% APR on eligible balances for qualifying service members. Keep in mind that these benefits generally apply to cards opened before active military service, not during. If you’re already serving and thinking about opening a new account, call the issuer first to see whether any benefits will apply. Here’s a complete list of our findings. (Source: American Express spokeswoman) Call the number on the back of your card, or mail or fax a copy of your orders and your account number, here. (Source: Bank of America® spokeswoman) For SCRA interest rate benefits, print and complete this form and mail it in with a copy of your enlistment or military orders. 877-523-0478 and ask to apply for SCRA benefits. (Source: Capital One spokeswoman) Apply online or call a military specialist at 1-855-CAP1MIL (227-1645). Military specialists are available 24/7. (Source: Chase spokeswoman) For a military specialist, call 1-877-469-0110 (for U.S. calls) or 1-318-340-3308 (overseas collect calls) to apply. (Source: Citi spokeswoman) For a military specialist, call 1-877-804-1082 (for U.S. calls) or 1-605-335-2222 (overseas collect calls). Military specialists are available 24/7. (Source: Issuer’s website) Log onto your Discover account and request benefits online. (Source: Issuer’s website) Find out if you qualify online and send in the required documents. Call 210-531-USAA (8722) for more information. Find phone numbers for calling collect overseas here. (Source: Issuer’s website) For a military specialist, call 800-934-9555 (for U.S. calls) or 513-277-5899 (overseas collect calls). (Source: Issuer's website) Call credit card customer service at 1-800-642-4720.
Who qualifies for these SCRA benefits? You’re on active duty in the Army, Navy, Air Force, Marine Corps or Coast Guard. You’re serving in the National Guard and are called to active duty for more than 30 consecutive days for service funded by federal money. You’re a commissioned officer of the Public Health Service or the National Oceanic and Atmospheric Administration, called into active service. You’re a service member who is absent from active duty because of sickness, wounds or other qualifying reasons. You’re a spouse of an active duty service member, and share a joint line of credit with that person. An issuer can choose not to provide these improved terms, if a court decides that the service member’s ability to repay his or her debt isn’t “materially affected” by military service. That is, a lender might be able to get a court order allowing it to charge a service member regular rates and fees if he or she is an officer with a high salary and wouldn’t have trouble paying a higher rate. But in practice, major credit card issuers generally don’t do this. Even if you don’t fit into one of those categories, your bank may still help you out. Capital One extends protections to other active duty service members not covered by law, including National Guard members called up for state-funded service, a spokesperson says. USAA also gives benefits to service members who are deployed, making a permanent change of station (PCS) move or serving in qualified military campaigns, regardless of SCRA status. Many issuers offer benefits to active duty military spouses, too, regardless of whether they share a joint account with a service member. If you’re unsure of your eligibility, ask your issuer. By law, you need to submit your requests to creditors no later than 180 days after being released from your service to receive benefits. However, some issuers give you more time to submit these requests. Minimize interest payments while paying off debt. SCRA benefits can make your total balance a lot more affordable, especially if your issuer offers 0% APR to active duty service members. If you’re paying off a large balance with a high APR, those savings could add up quickly. Keep in mind that balance transfer fees, which are generally 3% or 4% of the transferred balance, are also waived on SCRA-eligible accounts. If you transferred your balances to your 0% APR card, you could save on both interest and fees. Build credit without paying annual fees. If you’re trying to boost your credit scores and are having trouble qualifying for a no-fee option, use your SCRA benefits to get the annual fees waived. Pay your balances on time and borrow sparingly, and you could qualify for better terms in the future. Maximize rewards and other benefits. If you have excellent credit and never carry a balance, you could get even more value out of cards with premium features, such as high rewards rates, airline fee credits, waived baggage fees, airport lounge access and complimentary upgrades. If you get the card before your active duty begins, you likely won’t have to pay an annual fee during your service. From low interest rates to military specialists in customer service, having a credit card from a bank that offers excellent military benefits can pay off in a big way. If you’re preparing for deployment or already serving overseas, remember to notify issuers of your service. They might help you out more than you’d expect. A previous version of this article was missing an exception to the qualifications for SCRA benefits. This article has been corrected.